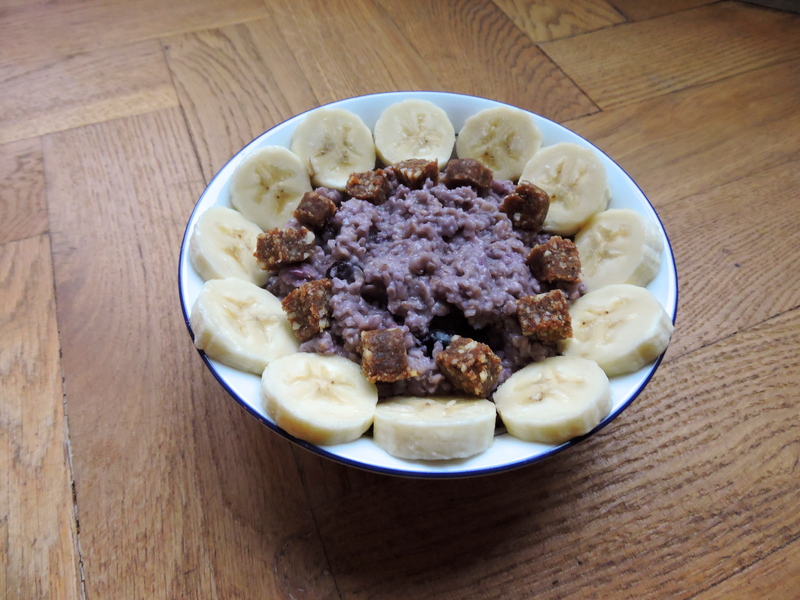 Three Amazing Vegan Oatmeal Recipes. For the longest time I avoided oatmeal in any form. I saw it as a bland breakfast soup with some oats floating around in it. This is mainly because the times I had tried it the oatmeal came from a microwave and was made with a copious amount of water. Clearly, I wasn’t a fan. I’m so glad I gave it another chance two years ago; I’m now in love with the stuff. On a cold winter morning I wake up craving a warm bowl of oatmeal. I’ve found a way of making it that exactly suits my tastes (lots of flavour, very little liquid) and I’ve had fun trying out different flavour combinations. 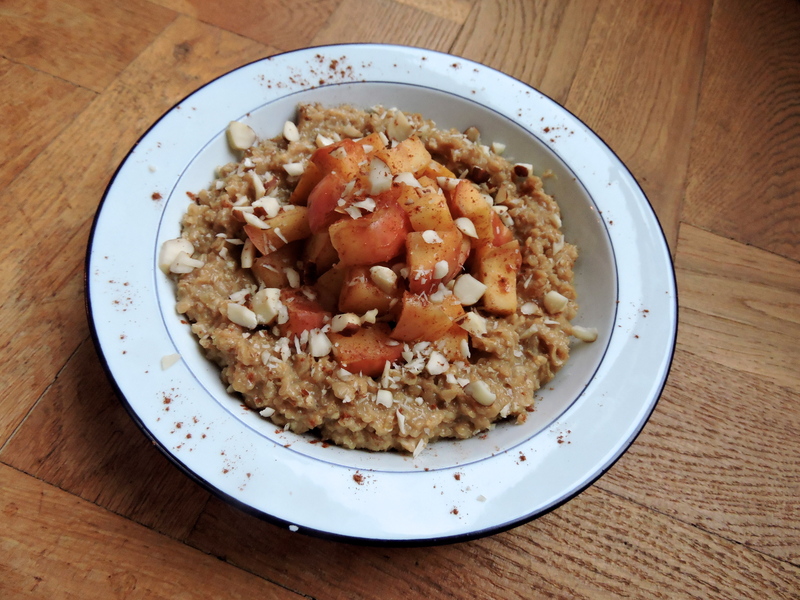 Today I’m sharing with you my top three favourite oatmeal recipes. They’re all pretty simple, and very customisable. Baked apple and cinnamon oatmeal with brown sugar. Recommend toppings: chopped nuts and extra cinnamon. You need two pans for this recipe: a regular non-stick cooking pan and a non-stick frying pan. Add your dairy-free milk to your cooking pan. Heat the milk on medium heat. In your frying pan, add your chopped apple, cinnamon and a splash of dairy-free milk. Cook on low heat and stir occasionally. Once your milk is near boiling, add the oats and brown sugar. Give them a stir and let them sit for a few minutes. Keep stirring your oatmeal occasionally to avoid it sticking to the bottom of the pan. Once your oatmeal is at it’s desired consistency take it off the heat and scoop it in a bowl. Take your apples of the heat once they have brown and are starting to turn soft. Add them to the top of your oatmeal. Lastly, add any desired toppings. 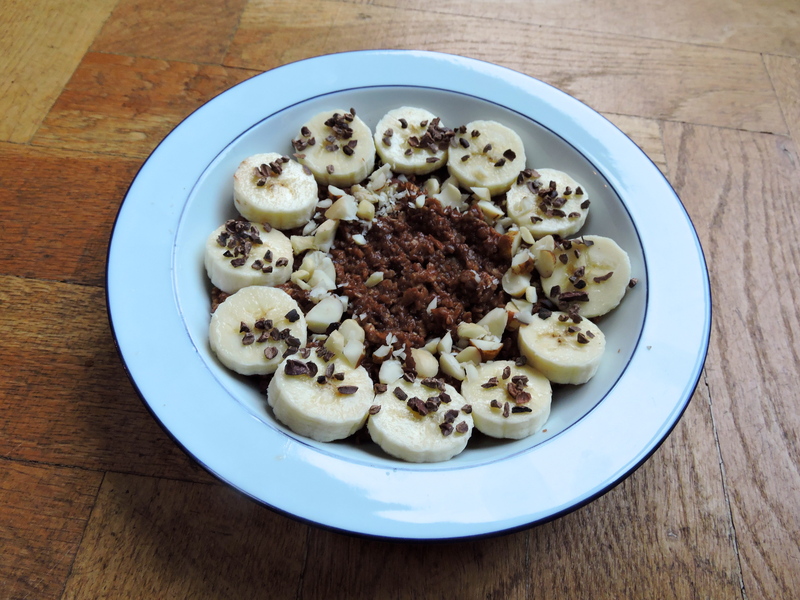 Recommend toppings: banana, chopped nuts and cacao nibs. Add your dairy-free chocolate milk to your cooking pan. Heat the milk on medium heat. Once your milk is near boiling, add the oats. Give them a stir and let them sit for a few minutes. Keep stirring your oatmeal occasionally to avoid it sticking to the bottom of the pan. Recommend toppings: banana and vegan protein/energy bar (I used a Nakd ginger bread bar). Add your frozen fruit to the oatmeal and stir it in. Leave for 2 minutes. What’s your favourite oatmeal recipe? Let me know if you try any of the above! That hits the target dead ceentr! Great answer!